Queler Conducting. An indispensable contributor to the New York music scene for decades. Kevin Short sang Pagano magnificently. 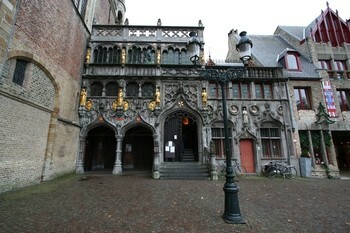 Christ’s blood was brought to Bruges in one of the crusades depicted in the opera. Maybe? Verdi used the crusades to celebrate the risorgimento in Italy. Kevin Short (Arvino), Noah Baetge (Pagano), Elizabeth Baldwin (Violinda) Angela Meade (Giselda), Brandon Cedei (Pirro), Adam Bonanni (Prior of the City of Milan), Tom McNichols (Acciano), Michael Fabiano (Oronte), Courtney Johnson (Sofia). 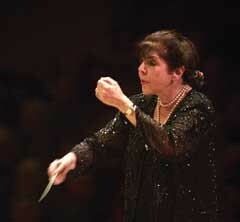 Eve Queler introduced the Opera Orchestra of New York at Carnegie Hall in 1972 with Verdi’s I Lombardi. Featured in the cast were Jose Carreras, Renata Scotto and Paul Plishka in memorable performances. Queler has continued to offer wonderful productions of seldom heard operas featuring stars, emerging stars, and newbies. Her contribution to the music world has been incalculable. Does it surprise us that she gave the first New York full look/hear at the fabulous Michael Fabiano? We singled out Fabiano in a dreadful production of Stiffelio at the Metropolitan Opera in January of 2010. At Avery Fisher Hall he stopped the show several times. If there is such a moment, a star was born. 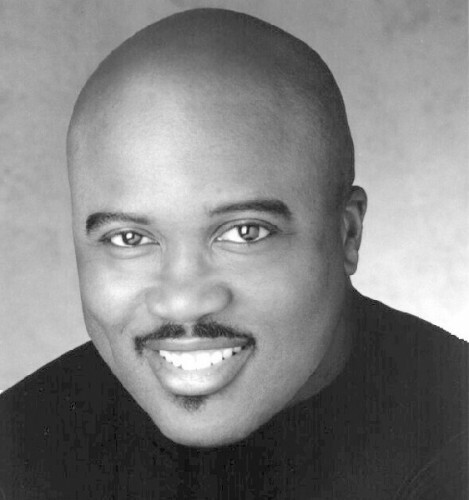 He is everything you want in a great tenor. Very much his own voice, he is not as smooth as Carreras, his predecessor under Queler. He has some of the edge of Beniamino Gigli. He commands all of the tools at his disposal to create an emotionally riveting and musically charged presentation. Crafting phrases with breath and dynamic variety, he is always in the service of the music. Remarkable. All the great tenors have memorably sung arias and ensembles from this opera, and Fabiano stands tall with them. Queler has again given a great talent a chance to shine. He truly seized the opportunity. Angela Meade, with her glorious big voice, was Giselda. Her denunciation of crusades as a commercial enterprise was thrilling. She was particularly affecting when accompanied by Fabiano, whose hand she cupped in both of hers. She came to a passionate conclusion in this demanding role. All the principals were terrific, standing out among them, Kevin Short and Courtney Johnson, as Queler’s perennial tip to an outstanding student of the form. The concertmistress performed the lovely introduction and obbligato to the conversion trio. Queler and her orchestra made the most of the march tunes Verdi uses to accompany the crusaders. Odd harmonies and incongruous chromatic scales were deftly managed. Verdi introduces a novel banda and orchestra back and forth play which Queler staged in the second tier boxes, stage left. In Act II the Saracen march tunes are tossed about and fragmented. In the Act IV battaglia in which a battle for Jerusalem is being waged, the banda again appears in the boxes and plays almost in counterpoint to the orchestra on the stage below. In an eagerly awaited moment, glorious Fabiano sings from heaven in the stage right tier boxes. Hymns come into new prominence with the cloister chorus in Act I and the pilgrim’s chorus in Act IV. In Verdi’s time, the hymn styles evoked deep feeling. The Act IV hymn: ‘O signore, dal tetto natio’ had its own tone-coloring, related closely to popular music. The prominence of the brass and woodwinds give it an ecclesiastical feeling. I Lombardi the chorus is emphasized. Italo Marchini served well as both chorus and banda master, making the involvement of the chorus and solo performers particularly exciting. The concert mistress did a lovely take of the introduction and obbligato which precedes the conversion trio. Verdi’s ability to cut through dramatic confusion, simplify and clarify is not as evident here as it would be in later operas. Yet we see him as a master at keeping what is important in dramatic terms front and forward. The reconciliation of the brothers at the end of the opera, which is composed in short phrases, was particularly beautiful. Queler masterfully pulled together this multi-faceted work. People disagree about what is lovely and what is not about the opera. But in Queler’s hands it was some enchanted evening, as Ezio Pinza, who once sang I Lombardi, would have said.